Usted será un campista feliz en cualquiera de nuestro tamaño estándar o más grande tirar-por sitios de RV. Disfrute de todas las ventajas de nuestro Camping Resort sin realmente acampar. Consigue lo mejor de ambos mundos cuando GLAMP en una de nuestras carpas de Safari. Each pull-through, full-hookup RV site is spacious enough for the whole family to stay and play as long as you’d like. Each site comes with a fire ring, picnic table, stone parking pad and parking for one vehicle. Our standard sites are anything but average, with plenty of room to set up camp and lots of amenities. These roomy sites can house up to a 45-foot RV on their stone parking pads and come with 50/30/20 amp service, parking for one vehicle, cable TV, sewer and water hook-up, WiFi, a picnic table and a fire ring. Upgrade your RV experience with a stay at one of our deluxe RV sites. These luxurious sites come with paved patios, and outdoor furniture. All of our sites have room for RVs up to 45 feet and each site comes with a fire ring, picnic table, stone parking pad and parking for one vehicle. You've got options when choosing an RV site at Massey's Landing. 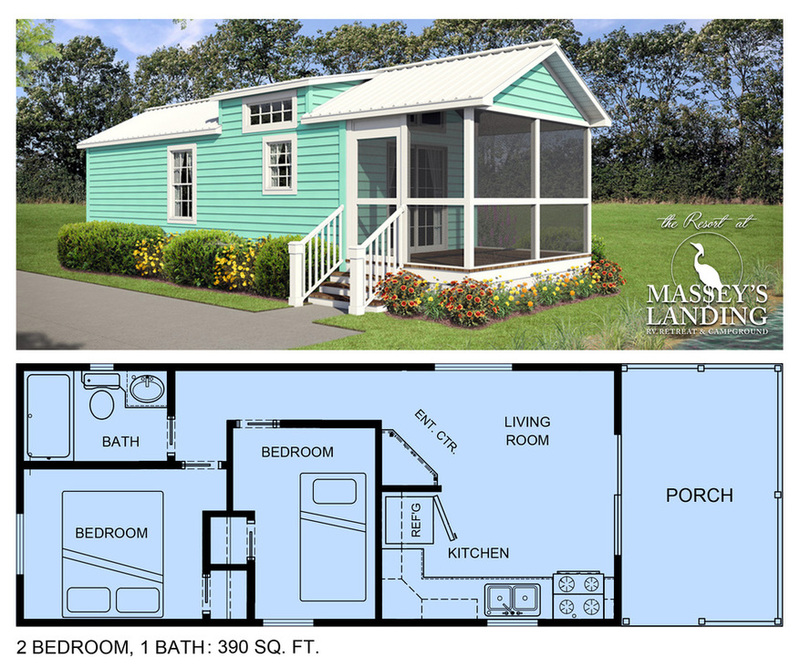 Take your pick of waterfront or standard, pull-through or back-in. If your reservation is cancelled 30 days prior to your arrival, Massey's Landing will provide a full refund, less a $20.00 change fee per reservation.If you cancel your reservation within 29 days prior to your arrival, all deposits paid will be consumed as your cancellation fee and your reservation will be released. If you're more of a glamper than a camper check out one of our cozy, well-equipped cottages. Our cute and cozy cottages are the perfect solution for those who believe roughing it shouldn’t be part of their camping experience. If your reservation is cancelled 30 days prior to your arrival, Massey's Landing will provide a full refund, less a $20.00 change fee per reservation. Unplug and enjoy the beautiful setting of our waterfront campground without giving up comforts like electricity and a real bed. Acabamos de volver de unas vacaciones de unas semanas aquí.. ¡ nos encantó! Ya habíamos reservado para el próximo año.. teníamos puntos de agua frente.